Yep, that's me, tooting my own horn today. (You can stop covering your ears now). Some of you may know I like to write fiction. I don't have anything published yet, but that doesn't mean my name isn't available in print. Here's the story. A friend once told me she thought a writer sits down, writes a perfect novel and has it published. Let me tell you: a lot of steps are left out there. One of them is revising and editing. That's where my tooting comes in. I do the same thing for my critique partners too. And some of them have been published already. 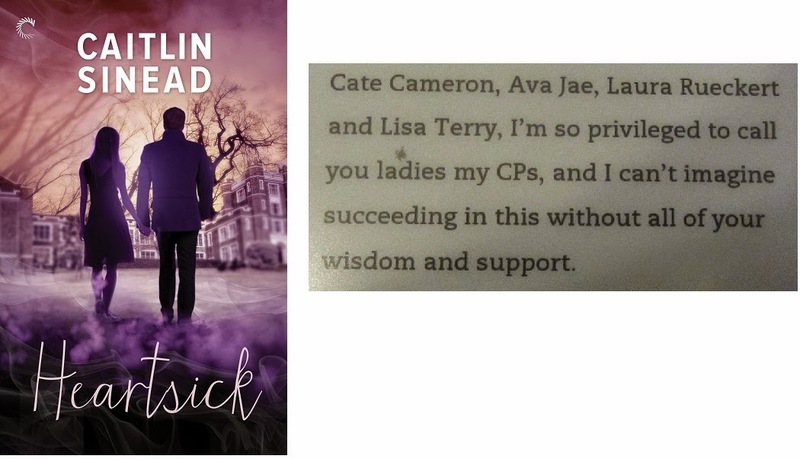 So I might not have any of my own novels published yet, but I am incredibly proud to have worked with Caitlin, Vicki, Emma and my other critique partners who will surely be published some day soon. My CPs are all amazing, and I feel priviliged to work with all of them. Thanks, Carissa! Yes, it's so much fun. And I'm sure you'll see your name there too someday!